In recent times, popcorn has been making a push to replace crisps as a go-to snack. More and more varieties have been placed on our supermarket shelves, making it difficult to judge what, if any, product we should buy. However, the nutritional value of popcorn is still questionable, and many are wondering about its health implications. 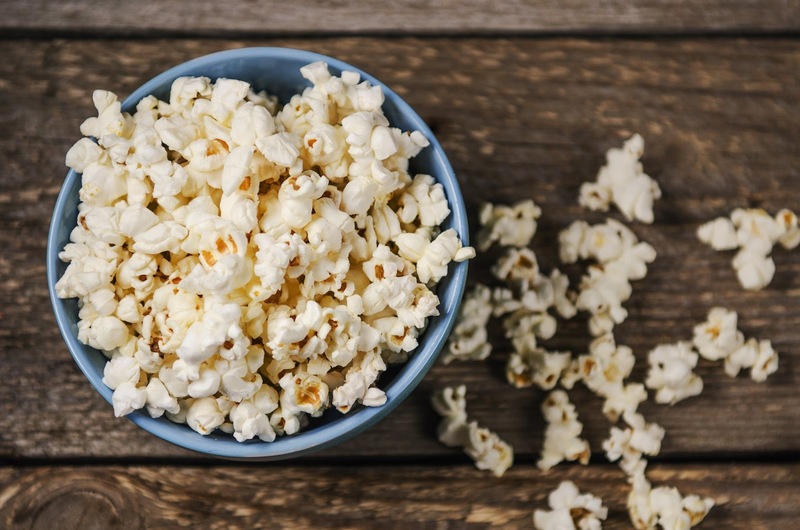 While we know butter and salt obviously won’t be good for us, what can we do to make sure popcorn is a worthwhile alternative to other more fattening snacks? A sure-fire way to reduce the unhealthier qualities of popcorn is to choose whole-grain kernels. Whole-grain kernels, which are found usually in organic popcorn bags and not in microwavable varieties, contain quite a few healthy ingredients. They are packed with bran, a prime source of fibre, as well as Vitamin E. Whole-grain kernels are a perfect first step to reducing the sugar content in popcorn. Nobody wants to eat popcorn plain, but we also don’t want to add lots of butter, oil, or salt, despite how good it might taste. Looking for alternative toppings to whole grain kernels can reduce fat and salt content and can also add a bit of variety in taste. Paprika powder is a good option for those who like spice, while lime and lemon are lighter, tangier options. Even sweet popcorn doesn’t have to be made using sugar. Try cinnamon or any sort of ground nuts to sweeten up your kernels, without pushing up the sugar content. Knowing how to portion your servings of popcorn will allow you to not go overboard. Three cups are generally recommended, but this is with other considerations factored in. Three cups of microwaved popcorn have 14 grams of fat, while air-popped only has one, so portion accordingly. When shopping for popcorn, be careful to read the ingredients thoroughly and make an informed decision on what you are purchasing. Always look for brands with the healthiest practices; that is, those brands that take into consideration the facts mentioned above. With so many different varieties it can be easy to choose the cheapest or the most immediate, but for those who want to keep their snacks healthy, a bit of research and patience is vital in making an informed decision. It is much healthier to use a popcorn maker than to microwave a bag, as microwavable brands are usually packed with butter and salt. Popcorn makers allow you to have more control on what you’re adding to the popcorn. Fat-free popcorn machines such as the VonShef Popcorn Maker operate through hot air circulation, which means that no oil or fats are going into your popcorn, allowing you to enjoy all the benefits of this wonderful snack guilt free. With the VonShef Popcorn Maker, a measuring spoon is also included, meaning that even if you want to add a bit of sugar as a topping, you can easily measure and restrict the amount used. By utilising these helpful tricks and tips you will be able to enjoy a healthier alternative to crisps. Curl up on the sofa with the whole family, turn on your popcorn maker, and know that what you’re snacking on won’t be harmful to your body.